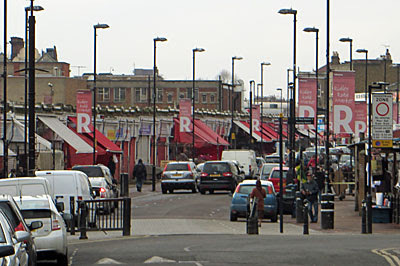 On EastEnders' 30th birthday, let's explore the BBC soap's East London inspiration. All the usual suspects, and then some. 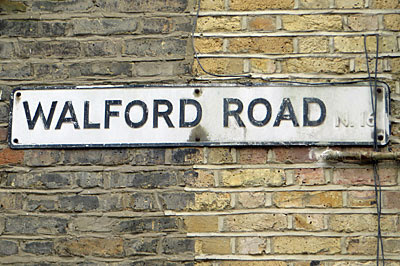 Albert Square is closely modelled on Fassett Square, a garden square in Dalston, located roughly halfway between Hackney Central and Dalston Junction. 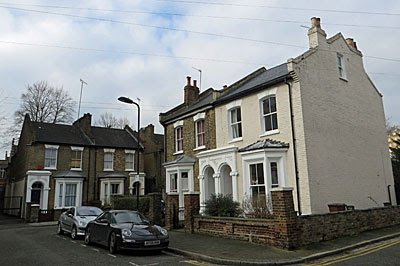 The original set designers scoured the area to find the ideal residential enclave for their new drama, and settled on Fassett Square just off Graham Road. 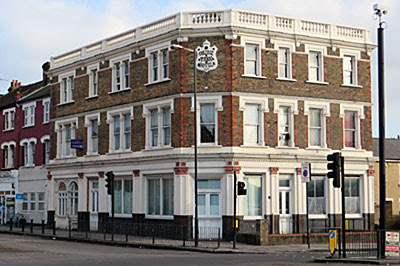 At one time they'd hoped to do all their location filming here, but soon realised that a reconstruction at Elstree Studios would be more practical. They brought along a cherry picker to get aerial shots of the square and took measurements of the houses and their period features in order to help them build a slightly smaller model on set. And although the end result was in no way a perfect match, if you stand in the right place and look the right way, the sense of déjà vu is uncanny. 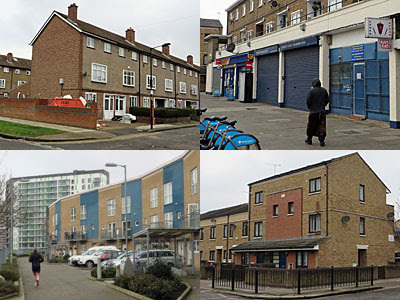 If the producers of EastEnders based their soap on the population of the Teviot Estate, the ratio of white to Asian characters would be approximately the inverse of what's in the show today. Many of the main characters wouldn't be speaking English to one another, there wouldn't be a lot of money flashing around, and the local open space would be a landscaped mound of crocuses frequented by angry dogs on long leads. There'd be no obvious focus to revolve the show around, no cafe, no laundrette, and very definitely no pub. Canary Wharf would be visible on the near horizon (an omission the producers finally rectified in Tuesday's episode), and a run of newbuild flats overlooking the canal would culminate in a brand new tower for professional incomers seeking affordability. 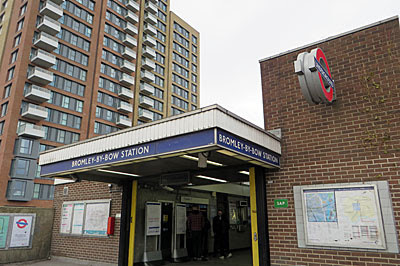 Were EastEnders genuinely set here, you wouldn't watch. But the genius of any long-running soap opera lies in its characters, and for that the East End has surely inspired three decades of the best.